Hayley and Joe are Fun In the Sun Weddings newest newlyweds! Like most brides getting married on the beach, Hayley was a bundle of nerves in the weeks leading up to her wedding, worried about a rainy wedding day and all the little things that could possibly go wrong. Hayley and Joe met while working together in the French Alps. One day Hayley got sick and Joe, as the chef, brought breakfast to her room. He ended up staying the entire day with her, chatting and they got to know one another. A week later they went on their first date to the ice caves in the mountains, and eventually when all the staff returned home, he waited with her for 4 hours for her coach when he only lived 30 minutes away. She realized then that he was the one. A holiday in Barbados felt like the perfect opportunity for him to propose, and so one day walking along the Bridgetown harbor, Hayley turned around and Joe was on one knee with the prettiest ring she had ever seen! 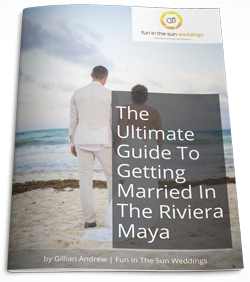 They knew they wanted a destination wedding in a tropical location, and since they had planned to vacation in Mexico someday, they just put the two together and decided to get married in the Riviera Maya at the Hotel Riu Yucatan. Shopping for the perfect beach wedding dress was a great experience for the bride. She found The Dress with her mom and bridesmaid, but it was so far out of her budget that she started toying with what areas she could cut from in the wedding budget. But then her mom stepped forward and insisted she buy her daughter the wedding dress of her dreams. Hayley was so overwhelmed she cried! Wanting the detailed embroidery of her beautiful dress to be the focus, the bride and groom kept other wedding details neutral and simple. Like other brides-to-be, Hayley could not relax in the weeks leading up to her destination wedding. She went to bed anxious the night before and did not sleep well. However, she woke up feeling excited, and her wedding day was perfect. It exceeded her expectations. For the groom, it was when his beautiful bride came down the aisle, and he finally saw the wedding dress she was so excited about. For the bride it was walking down the aisle with her Dad, who reminded her to slow to down and enjoy the moment. Hayley’s advice for the brides getting married on the beach? Relax! Everything will go amazingly because at the end of the day you’re marrying the person you love and that’s what it’s all about. Hayley & Joe, it has been such a pleasure sharing this adventure with you, and we wish you and your little man all the happiness in the world in this new chapter together. Congratulations! Want to know more about Riu Yucatan? Read unbiased reviews on Tripadvisor here. 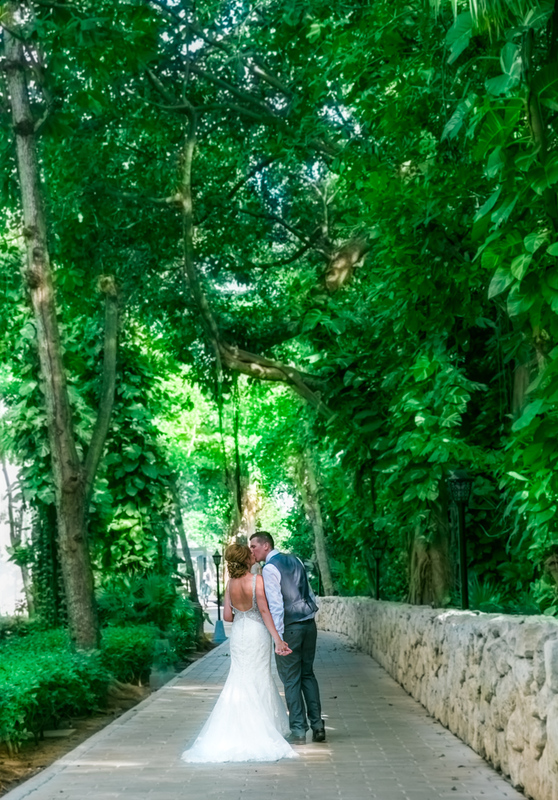 And if you are looking for the best Playa del Carmen wedding photographer for your beach wedding, then contact us today! 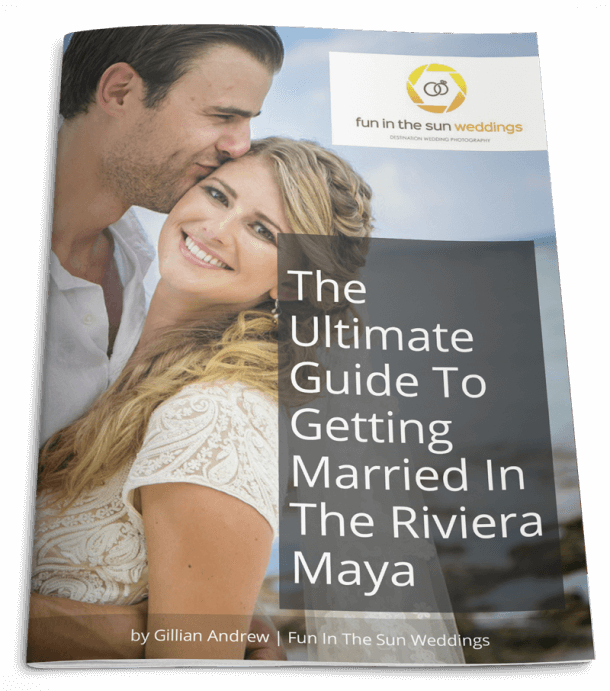 We are Fun In The Sun Weddings, the best Riviera Maya wedding photographers. When Marc introduced himself on the wedding day we knew we were in safe, professional hands! He turned up on time, was easy going, really chatty and made us laugh from the first photo he took! All of our guests commented on his passion and enthusiasm for his job and we all had a great time with him! I would 100% recommend Fun in the Sun Weddings.